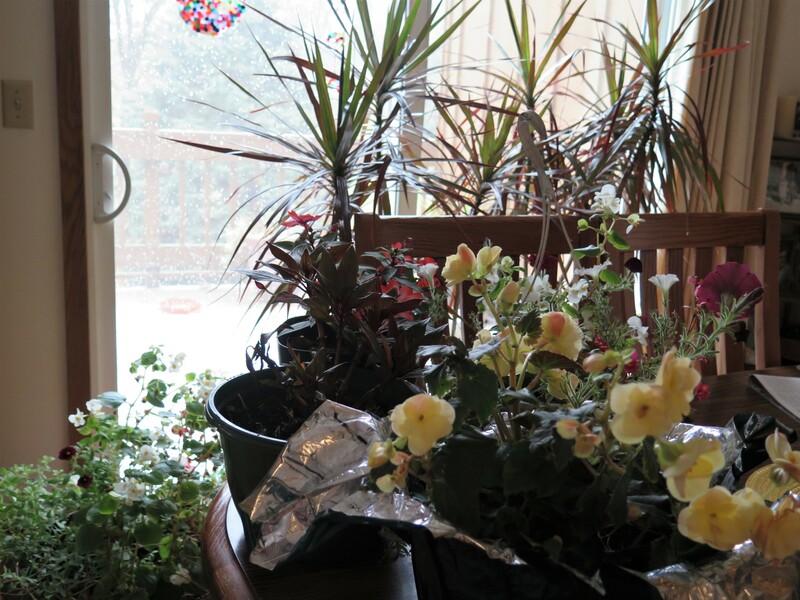 My kitchen is overflowing with pots of flowers – my latest rescue attempt to push the cold of winter away for a few more days. On the deck is a new experiment to keep other flowers alive. Every year I go through this same ritual . . . trying to keep my flowers blooming just a little longer. I am a rescuer by nature. When I was sent to small churches in rural Minnesota, I was convinced that churches in a spiral of death, had life still in them. It’s written into my DNA to encourage the life force, whether it is a plant staving off the cold and snow of a winter day in mid fall – Or a church giving up before their work is done – Or a person going through the pain of loss, heartache, addition or failure, ready to give up. It was in the midst of failure, poverty and despair that God rescued me. I couldn’t keep a dying marriage from failing. My rescue attempts were futile. But God’s rescue of me out of it was real. I look back on that time in my life as one of grace. God’s love and care was greater than I believed possible. And while I constantly condemned myself – I found encouragement in some of the most unusual ways. One day, while doing some work in the church library, I came across these words in a book, whose name and author I do not remember. The words were these, “When you refuse to forgive yourself, you are refusing to forgive a child of God and that is wrong.” I needed those words that day, as I have needed them since. Today, I look at pots of flowers on my table. I see how much beauty is there and I know that this is how God sees each of us, when we are about to give up on ourselves. God sees the beauty in us and wants us to know that we are God’s beloved and precious children – Loved more abundantly than we can imagine. This entry was posted in Faith & Life, God's Love, Grace, Shirley Duncanson and tagged Child of God, Forgiveness, Forgiving Self, God's love, Grace, Psalm 40:2. Bookmark the permalink.